Yes, even non-recourse factoring companies care about their clients’ credit. Since factoring companies buy invoices, it’s a common misconception that the factoring client’s credit doesn’t matter. After all, no debt is created, and the only obligation is on the part of the client’s customer to pay the bill. There is some truth in this, which makes factoring appealing to companies with little credit history, or sole proprietors with judgments, bankruptcies, or poor credit. Non-recourse factoring companies will be much more liberal in their credit standards than banks or other commercial lenders. However, even factoring companies care about their clients’ credit. Industry references: suppliers, landlords, etc. Each source speaks for the credibility of the client. Notice the root word credit in credibility. This is what matters to the factoring company. The better the references and the numbers, the more the client can be trusted. Trust is everything in the factoring relationship. 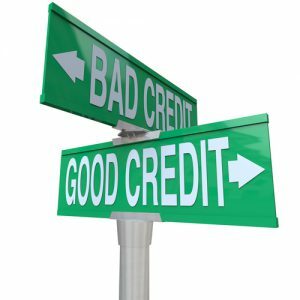 Good credit means the client has a regard for the obligations of the company. There’s a direct correlation between the credibility of the client and the efficiency of service the factoring company can provide. If the client has marginal credit, the factoring manager may need to set additional procedures and controls in place to manage the transactions. As mutual trust grows over time, these controls can be minimized and the cash flow process can become much more efficient and effective. At Riviera Finance, we’ll do everything we can to work through credit challenges with our clients. Not only this, but we have services, such as supplier assurances, that act as credit enhancement tools so our clients can improve their credit while increasing their cash flow. Contact us today to get started!